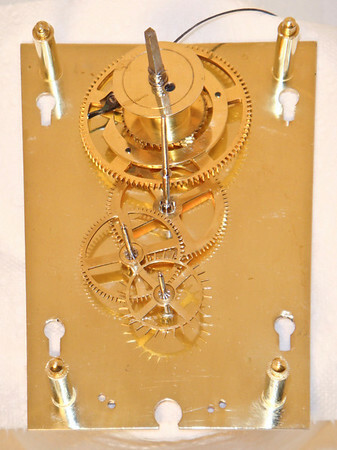 I love working on MIniatures - their mechanisms are just that extra bit nicer than the full-sized Vienna Regulator mechanisms - and when they are made by one of the top makers from the second half of the 1800's, they are a dream indeed. I was quite taken by how perfect the escape wheel is - especially given that it was clearly hand-cut. A wonderful example of the mechanistic art for which the Viennese are noted.